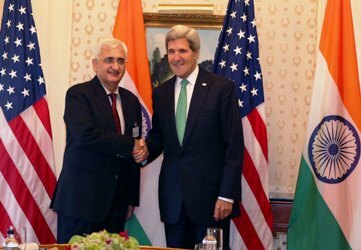 External Affairs Minister Salman Khurshid said at the inaugural meeting of the High Level Political Forum that the international effort to achieve sustainable development must be premised on an equitable sharing of the planet's resources. This, he said, is not just an economic or environmental necessity; but also a moral and ethical imperative. The creation of the High Level Political Forum was one of the key decisions of the Rio+20 Conference. Khurshid said that India is happy that a universal and inclusive process to deliberate on issues in which everybody has a stake, has been created. But he mentioned that the HLPF must be a forum for action-oriented collaboration. It must give special attention to the needs and priorities of the developing countries, while ensuring that their developmental policy space is fully preserved. It must emphasise, he said, sharing of best practices and experiences, mobilisation of international resources, transfer of technology and capacity building support in order to mainstream sustainable development at all levels. ‘Let me take this opportunity to highlight an area that I consider extremely important for sustainable development -- correcting the gross disparity and imbalance in the global consumption of natural resources,’ he said. The report of the Secretary General's High Level Panel on Post-2015 Development Agenda, Khurshid said, has drawn our attention to a startling fact -- that the over 1 billion poorest people on this planet account for a mere 1 per cent of total global consumption while the billion richest consume over two-thirds of it. ‘This stark imbalance must change if we are serious in our quest for the sustainability of our planet. ‘The international effort to achieve sustainable development must be premised on an equitable sharing of the planet's resources. ‘This is not just an economic or environmental necessity; it is also a moral and ethical imperative,’ the minister said. He also called promoting not just inter-generational but also intra-generational equity to achieve sustainable development. ‘At Rio+20, world leaders agreed that poverty is not only the greatest global challenge but also an indispensable requirement for sustainable development. The minister said that the Post-2015 Development Agenda must carry forward and complete the unfinished business of the MDGs. It should also prioritise other core issues such as ensuring food security and universal access to modern energy services, full and productive employment for youth, managing urbanisation, creation of infrastructure, rationalising consumption patterns and reducing the wastage of food in developed countries. More importantly, the Post-2015 Development Agenda must succeed in crafting a transformative and meaningful global partnership to provide enhanced means of implementation to developing countries. The early fulfillment by developed countries of their commitment of 0.7 per cent of GNI as ODA should be the starting point of this important Endeavour. The minister also utilised the occasion to call for a genuine reform of the institutions of global economic governance to give real voice and effective participation to developing countries. Reiterating India’s strong commitment to sustainable development, he said India needs sustainable development to lift millions of its people out of poverty and for them to have a better quality of life. Khurshid attended the United Nations' Secretary General's state luncheon in the afternoon besides attending the reception hosted by the South African president as well as the Commonwealth minister's reception on Tuesday.